Research indicates that as many as four out of ten producers know little about the $1-per-head beef checkoff. If it’s your money being invested in consumer marketing programs, you have the right and the responsibility to know how those dollars are being spent. Ours is a diverse and complex industry, but it’s never been more important for us to understand how to bring various segments together for a common cause. Today that shared purpose is building demand for beef by addressing the specific needs of our changing consumer target. Cattle producers have always faced a variety of challenges, but it’s probably more important than ever to study and communicate with the organizations working to keep the focus on merchandising our ultimate product. The beef checkoff is the one industry-controlled program seeking to build markets, promote beef’s essential role in the diet and deal with dramatic changes in how the product needs to be presented. In Arkansas, the ABC continues to seek effective ways to communicate with producers and let them know more about where checkoff dollars go and how the program works. It’s your money and your program. Why is there a beef checkoff? Beef producers created the checkoff as a self-help promotion, research and information program. It was approved in 1988 by 79 percent of beef producers in a referendum after grassroots input shaped the program. In recent producer attitude surveys, approximately 70 percent of cattlemen approve of the checkoff. Economics in the beef business have led to lots of questions about every aspect of our industry. Concerns about what the checkoff can do to address various problems have arisen in some quarters. The bottom-line reason for a checkoff is to understand and communicate with our consumers. It’s an ever-changing marketplace, and the product we offer must meet changing demands. What can the checkoff do? The checkoff acts as a catalyst for change. The checkoff doesn’t own cattle, packing plants or retail outlets. It can’t single-handedly turn around a low market. Nor does it create good markets by itself. Beef producers never intended it to be in the business of growing cattle or handling product. What they wanted was a way to stimulate others to sell more beef. This can be done through direct advertising, cooperative marketing, public relations efforts, education programs and new product development assistance. What can’t the checkoff do? By law, checkoff funds cannot be used to influence government policy or action. This includes lobbying. Where are checkoff dollars invested? Checkoff programs are designed to build demand for beef and veal in both domestic and foreign markets. Research provides the foundation for checkoff-funded activity. All information and promotion projects are developed based on consumer marketing, nutrition, beef safety and product development research. Promotion encompasses advertising, merchandising, and point-of-purchase programs that enhance the appeal of beef to consumers, and helps retailers and foodservice operators market beef and veal more effectively. Consumer Information creates a positive image for beef by repeating and reinforcing the beef industry’s messages through news media, food editors, teachers, dietitians, physicians and other influential audiences. Industry Information improves perceptions and understanding of the cattle industry through programs aimed at key thought leaders. Information programs create a positive marketing climate for the cattle industry by helping to manage misleading publicity concerning food safety, environmental and animal welfare issues. Foreign Marketing works to identify and develop international markets for U.S. beef and veal. Producer Communications informs beef and veal producers about how their checkoff dollars are being invested and keeps them apprised of program results. Research shows the checkoff returns more than $11 to the industry for every dollar invested. Click here to see the research. 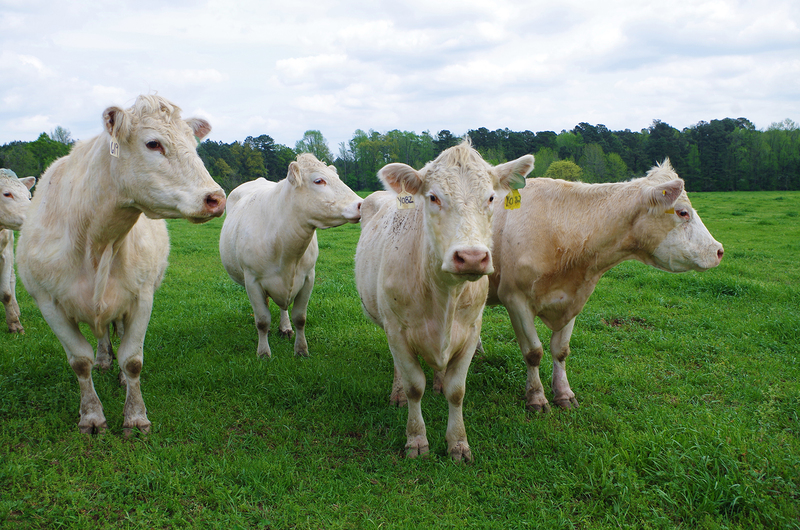 In Arkansas, the BQA's goal is to encourage the consistent production of high quality cattle and ultimately a safe and wholesome beef product.